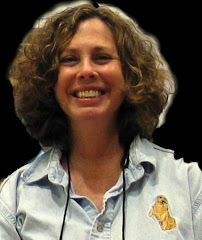 Bouchercon 2011, an incredible 4 days of mystery and mayhem, wrapped it up with the presentation of the Anthony Awards. Congratulations to all! Best Novel: Bury Your Dead (Minotaur) by Louise Penny. This novel also won the Macavity Award for Best Novel, the Agatha Award for Best Novel, the Dilys Award and the Arthur Ellis Best Crime Novel Award. Best Paperback Original: Expiration Date (Minotaur) by Duane Swierczynski. This book also won the Crimespree Favorite Book of the Year Award. Best Short Story: Dana Cameron's "Swing Shift" in Crimes by Moonlight: Mysteries from the Dark Side (Berkley). "Swing Shift" also won the Macavity Award for Best Short Story. Best Critical/Non-Fiction: Agatha Christie's Secret Notebooks by John Curran (HarperCollins) This book also received the Macavity and Agatha Awards. Best First Novel Anthony: The Damage Done (Forge Books) by Hilary Davidson. This book also won the Crimespree Award for Best First Novel.